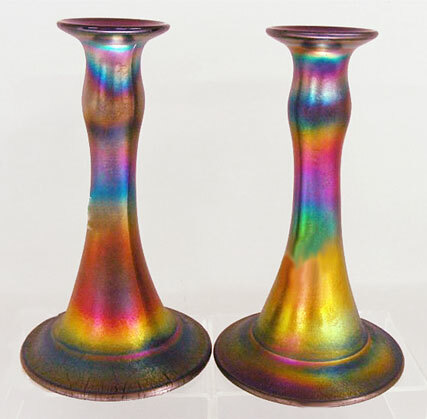 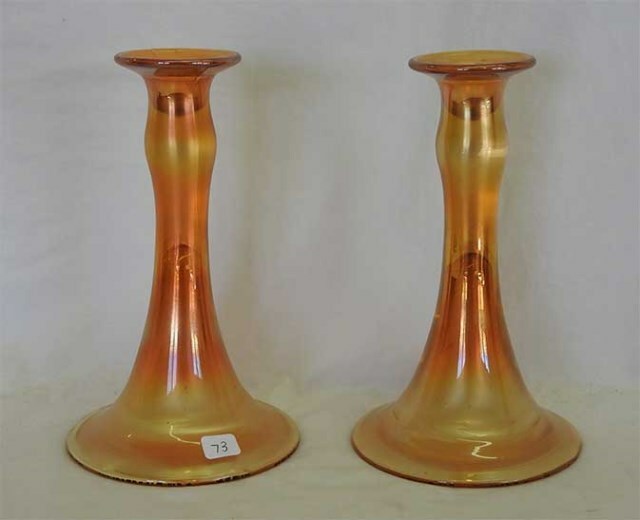 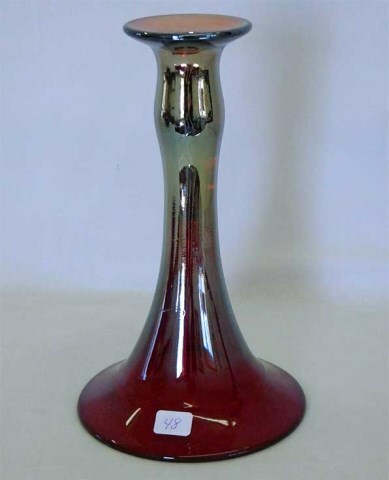 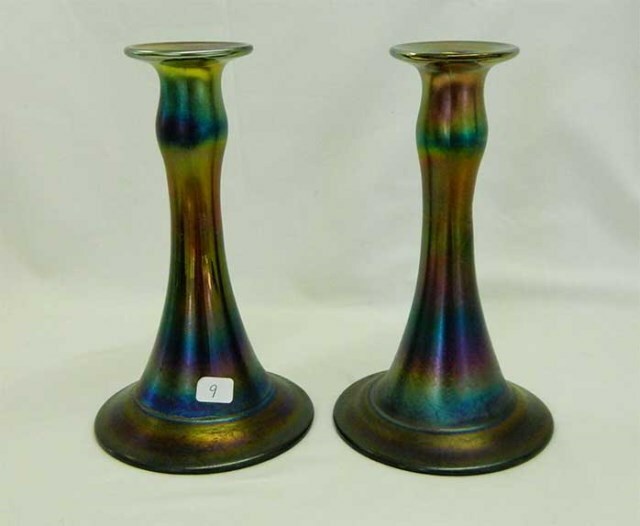 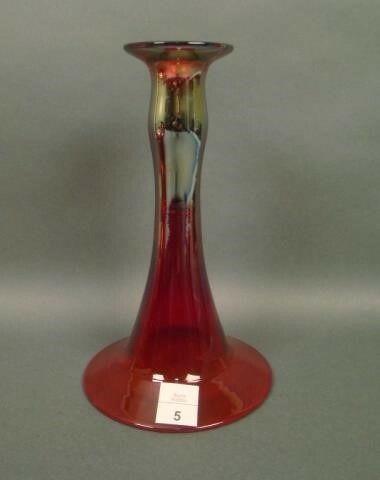 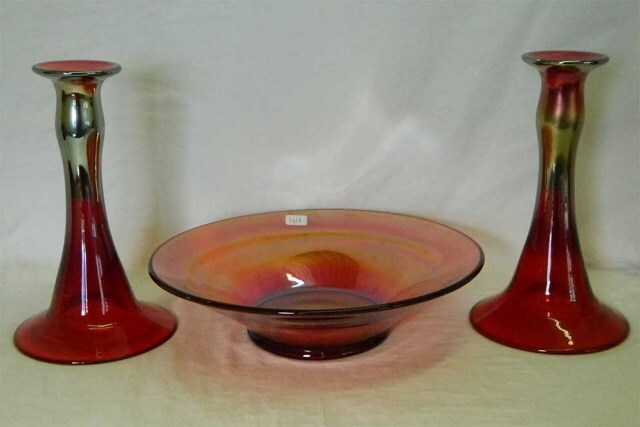 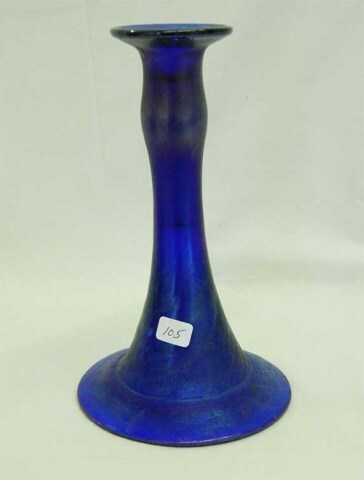 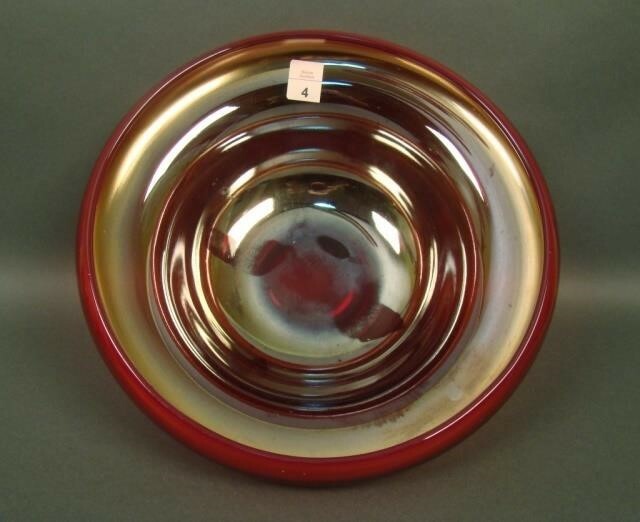 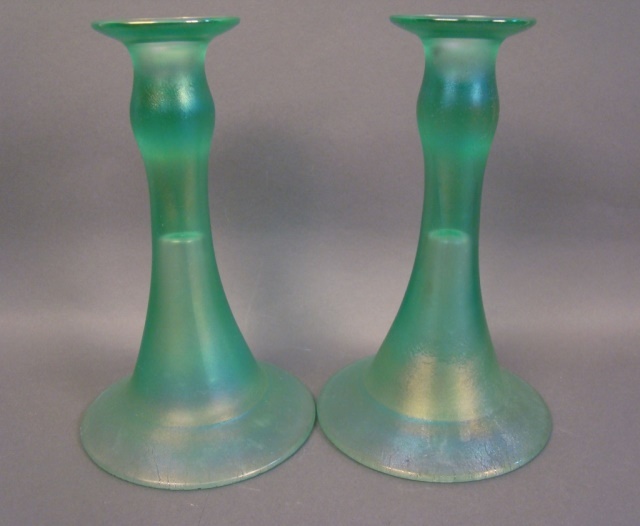 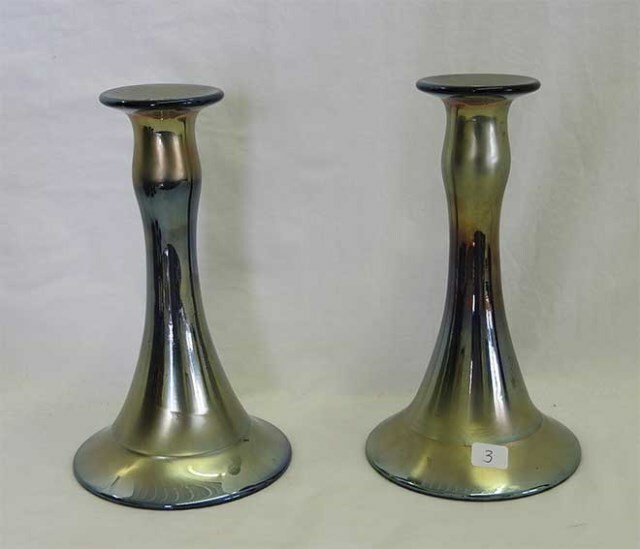 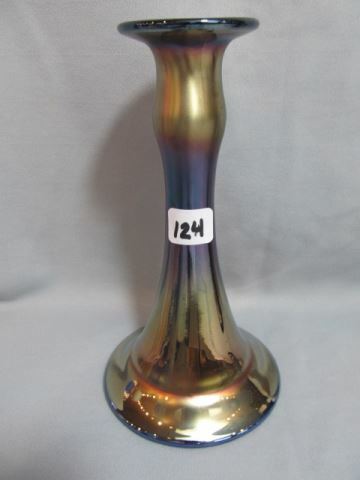 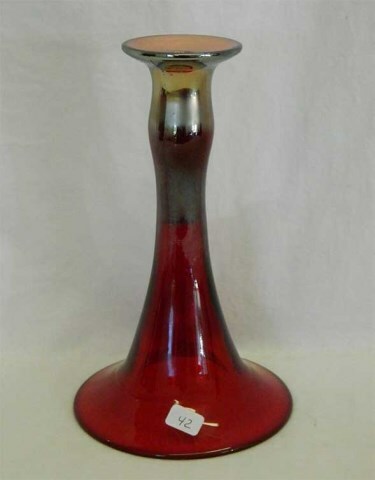 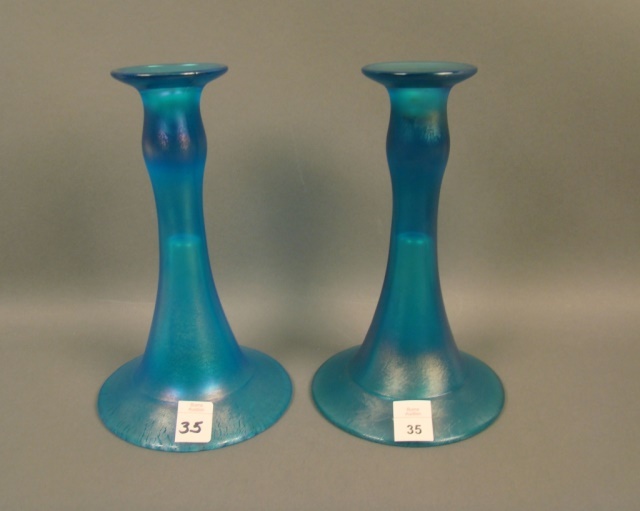 This candlestick is 8 inches tall with a 4 3/4-inch base. 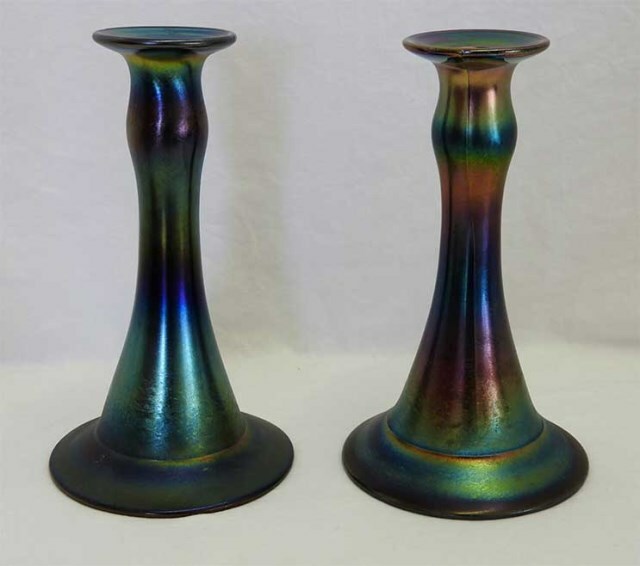 Found in black amethyst, a rare blue, celeste blue, ice green, marigold, purple and red. 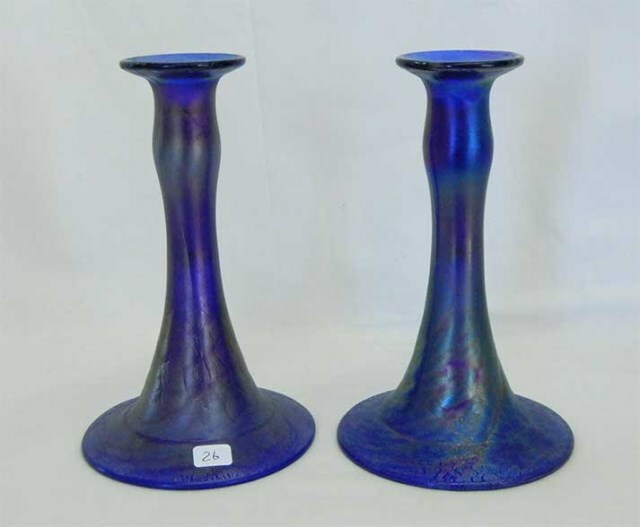 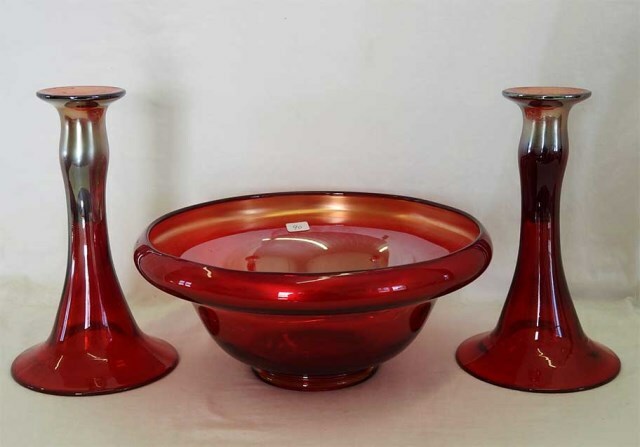 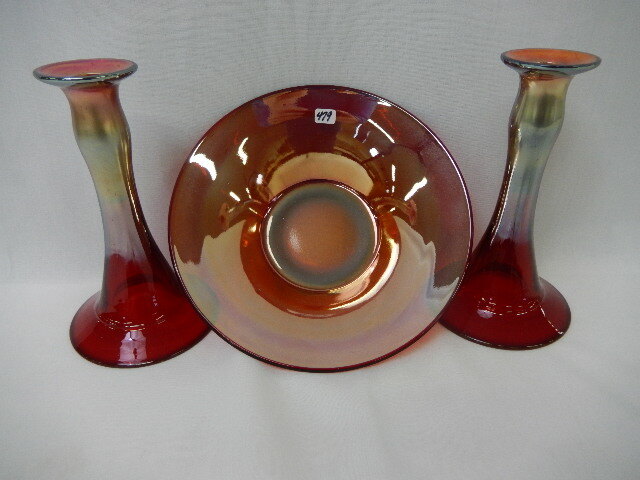 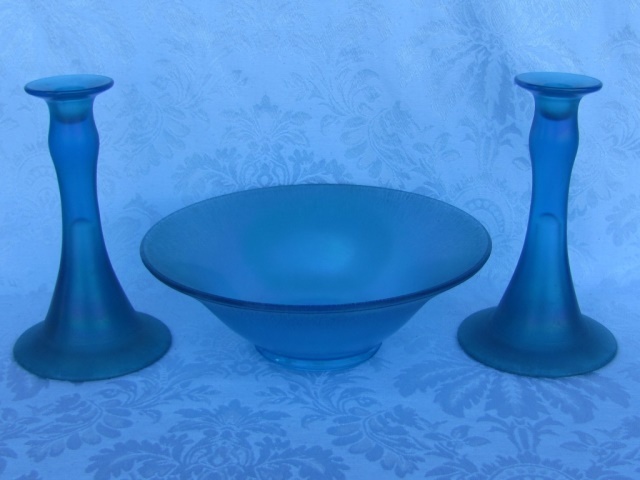 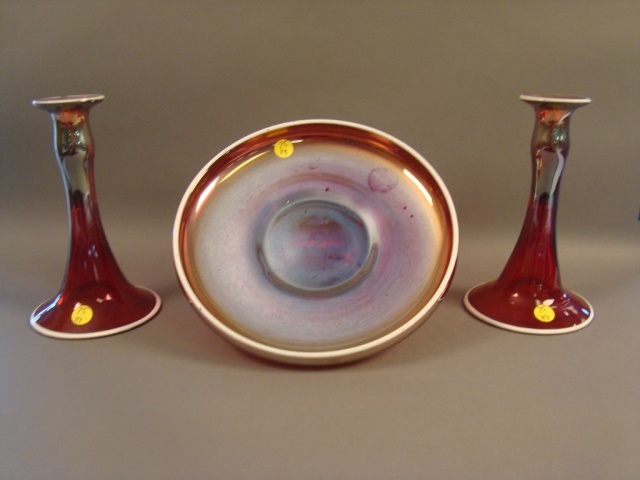 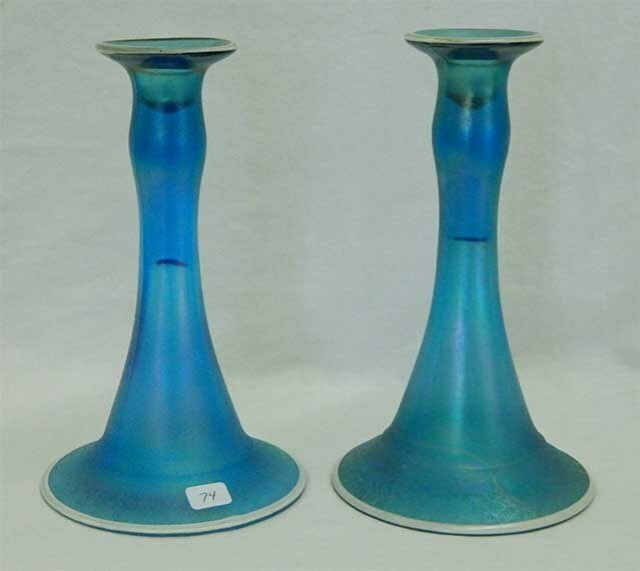 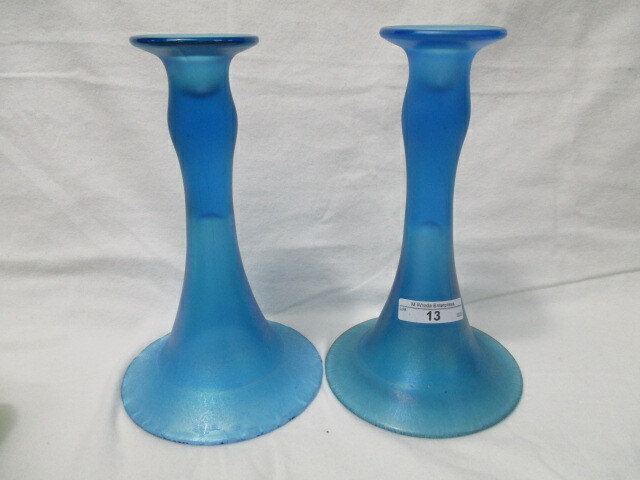 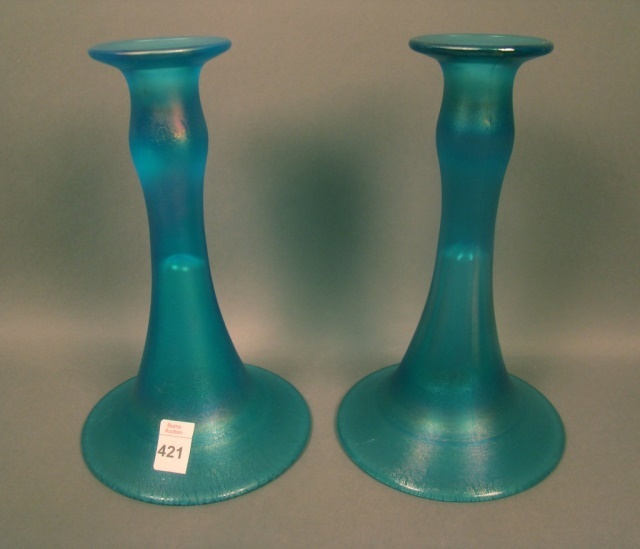 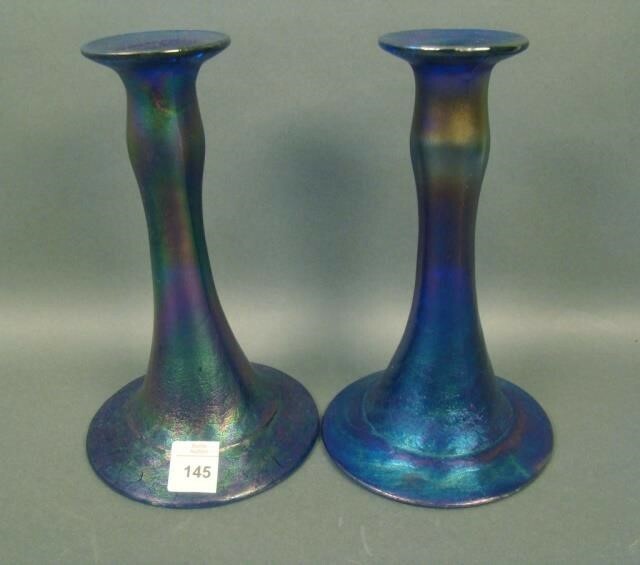 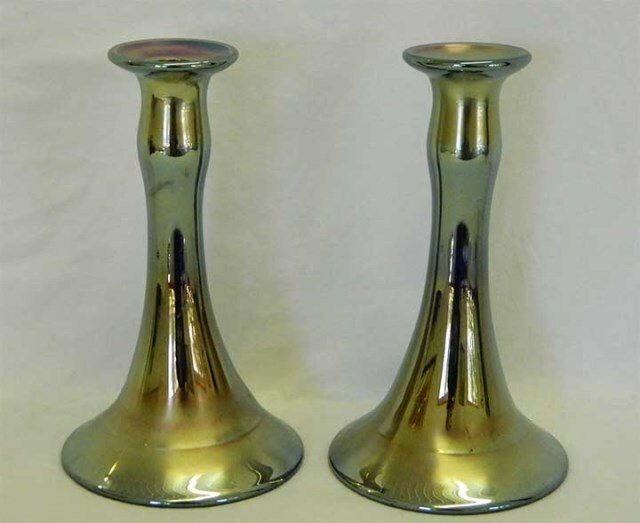 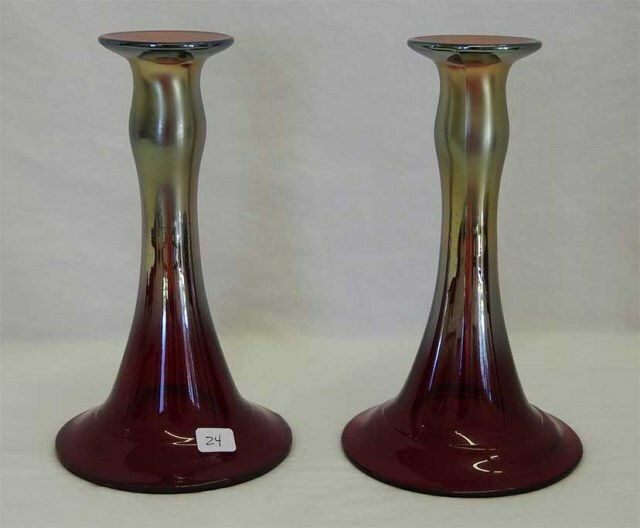 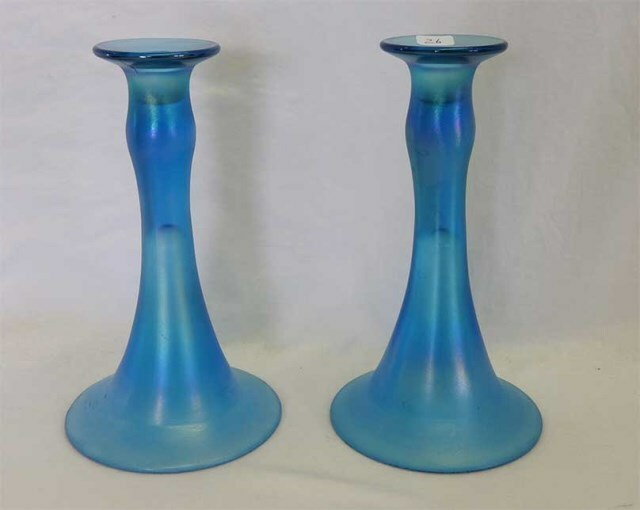 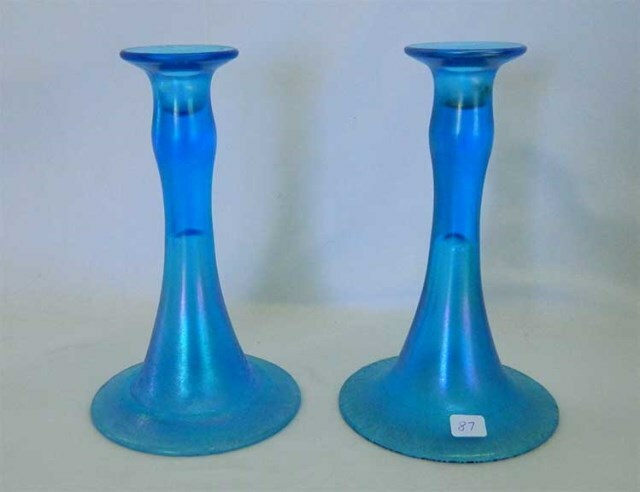 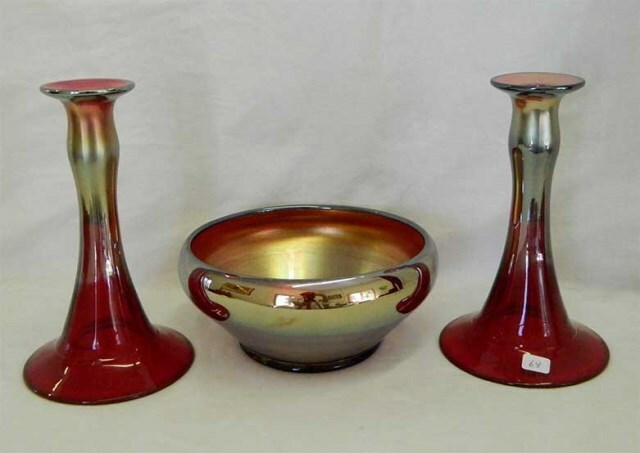 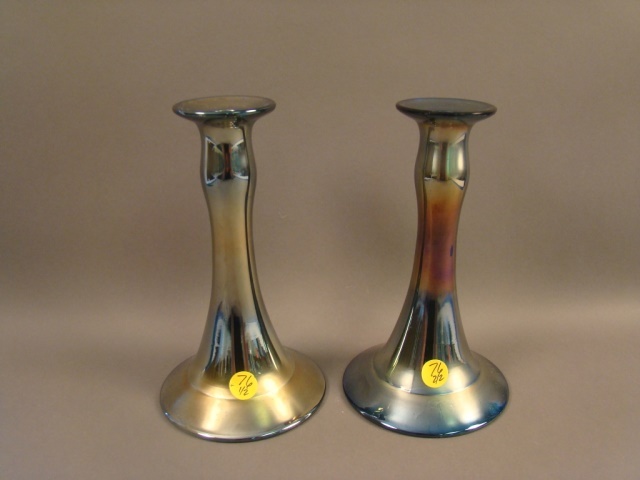 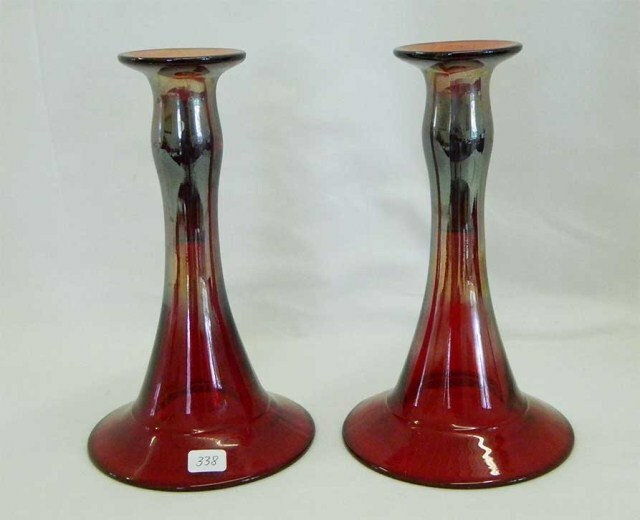 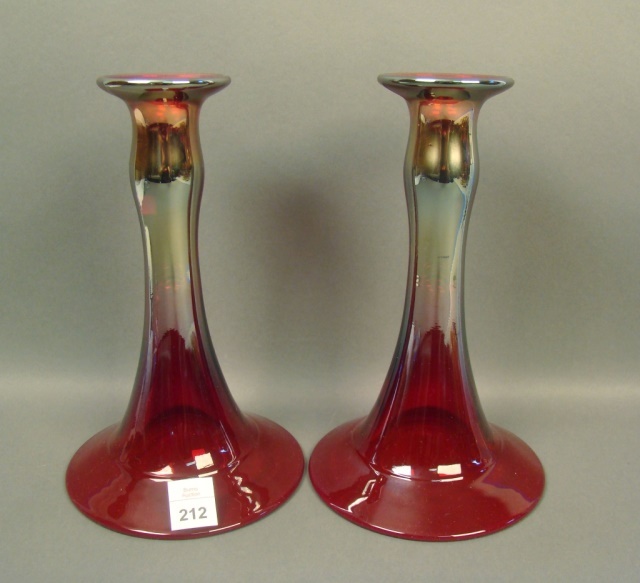 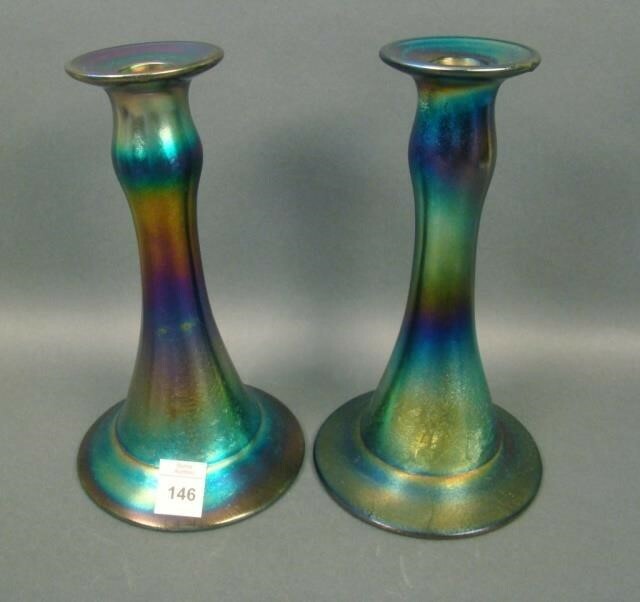 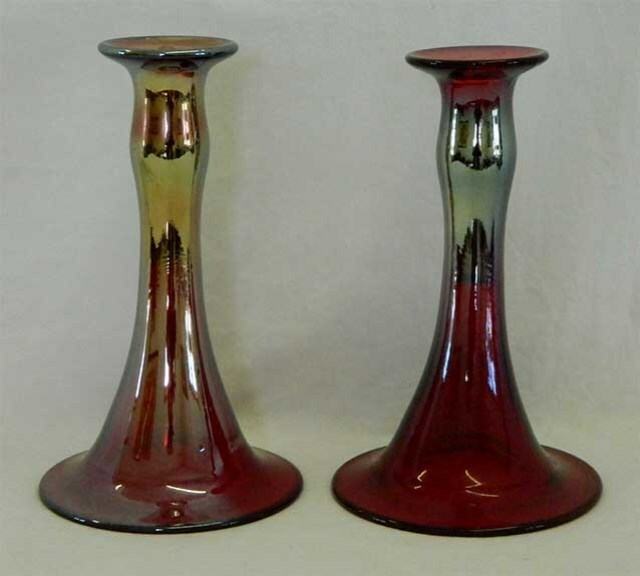 Single candlesticks in blue and red sold in 2013 for $120 and $60, respectively.